Apple's year-over-year drop in smartphone sales during the March quarter also caused the company to lose marketshare, though part of the shift can be linked to fast-rising Chinese smartphone makers, according to new research data. Although Apple held onto second place, it saw its marketshare slide to 14.9 percent from 17.9 percent a year ago, Gartner said in its latest industry report. 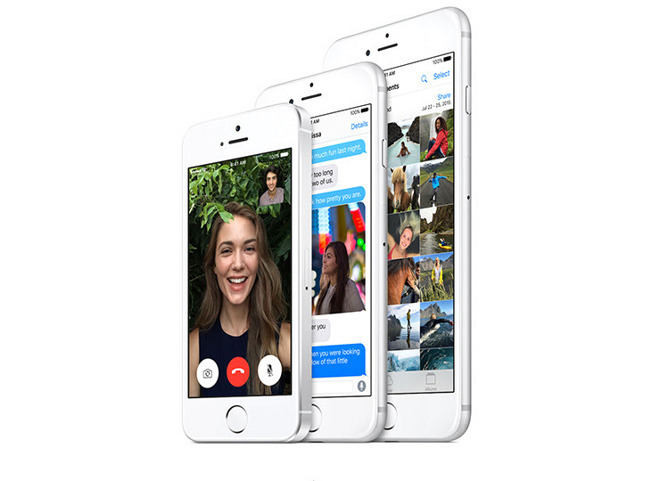 iPhone unit sales were down from approximately 60.177 million to just under 51.63 million. Samsung remained the global leader in the smartphone market, growing sales slightly to almost 81.187 million units. Its share nevertheless slipped slightly, from 24.1 to 23.2 percent. Perhaps the biggest reason is Huawei, which leapt ahead from a 5.4 percent share to 8.3, with sales up from about 18.111 million to 28.861 million. Another Chinese smartphone maker, Oppo, saw its share more than double from 2 percent to 4.6 percent, as its sales increased from roughly 6.585 million to over 16.112 million. Xiaomi saw sales rise from roughly 14.740 million to 15.048 million, but this wasn't enough to keep up its share, which dipped a tenth of a percentage point to 4.3 percent. 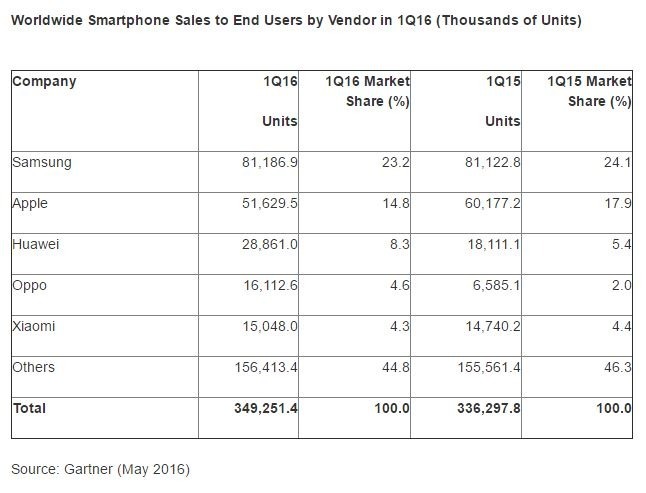 The smartphone market as a whole grew 3.9 percent to approximately 349 million. Notably, falling out of the top five vendors —and even the top 10 —was Lenovo, which is however leading the global laptop market. Apple's iPhone sales aren't expected to resume high performance until this fall, when company should ship the "iPhone 7" and "7 Plus." While the standard 7 model may be a relatively conventional upgrade, rumors have hinted that the Plus will get a dual-lens camera and a Smart Connector.